Kopecky is a US progressive rock band. -- Three brothers - Joe, William and Paul - from Racine WI. 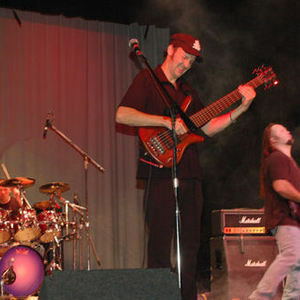 Joe plays guitar and sings, William plays electric bass, keyboards and sitar, and Paul is a drummer. KOPECKY is an American band with a variety of influences. They have elements from the latest era of King Crimson, some prog metal, some ethnic influences and even some more traditional prog influences. Occasionally the approach is similar to Terry Bozzio's Black Light Syndrome. The result is a powerful sound with a variety of approaches and interesting musicianship.